Miyagi Prefecture faces the Pacific Ocean in the east with intricate coastlines, warm beaches and stunning mountain ranges in the west. This contrast of sea and mountains creates an opportunity to experience some of Japan’s most beautiful and spectacular unspoiled natural landscapes, which are starting to attract more and more visitors every year. Matsushima, which is only 30 minutes away from the hustle and bustle of Sendai, is regarded as one of Japan’s three most scenic views. The stunning bay which is dotted with pine-covered islands of various sizes is a great getaway from Tokyo and offers the keen traveler rich history and culture along with fresh seafood and local sake. The best way to get out and explore the scenic beauty of the bay, which contains over 260 islands is by ferry. You can enjoy the natural wonder of the bay from inside the comfort of the boat for ¥1,500 (US$13). Pay an extra ¥600 and you can experience the fresh sea air and almost reach out and touch the islands from the open deck on top of the ferry. 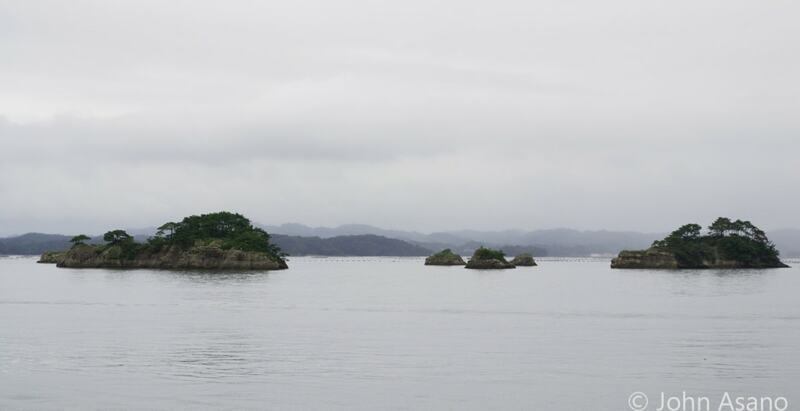 Godaido Temple, one of the symbols of Matsushima and a popular sightseeing spot, has stood on a tiny inlet overlooking Matsushima Bay since 807. The small temple can only be reached by crossing a small red bridge with spaces between the planks allowing you to see the water below. The worship hall originated as an enshrinement for the god of treasure, Bishamonten, and was reconstructed in 1604 by local feudal lord Date Masamune. The grounds of Godaido are free to enter and closed in the evenings. The spectacular 252-meter (827-ft) long red-lacquered Fukuurabashi Bridge leads you to Fukuurajima Island, a prefectural park and natural botanical garden featuring more than 300 species of flowers, plants and trees. 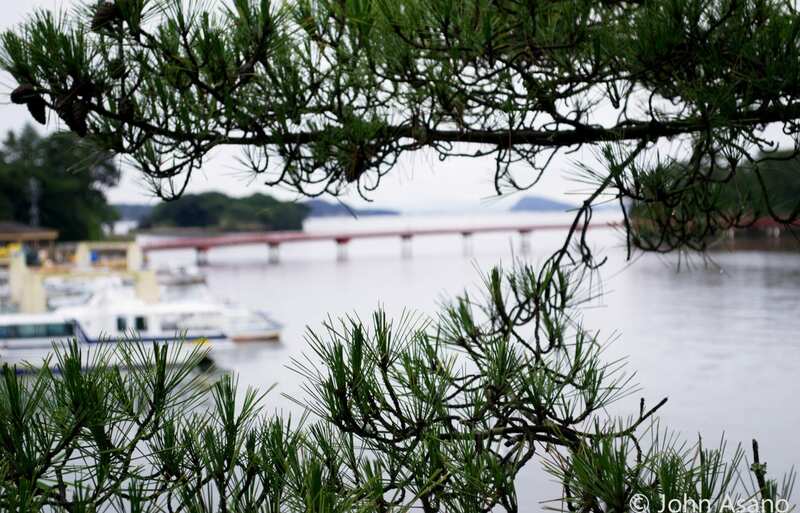 The beautiful walking paths of the island take you through the trees to scenic lookouts, which offer magnificent views of Matsushima Bay and its pine-covered islands. The Fukuurabashi Bridge, also known as the “Matchmaking Bridge” has a legend attached to it, believed to bring a strong match to couples that cross the bridge together. Entry to the island via the bridge is ¥200. Zao is a resort town in Miyagi Prefecture surrounded by the beautiful nature of the Zao Mountain Range. Zao Okama, its most famous tourist attraction, is a circular crater lake with brilliant emerald green water. The picturesque lake is also called “Goshiki-numa” (Pond of Five Colors) because it can appear blue, yellow-green or other colors depending on the light and weather of the season. Zao is a famous ski resort in the winter and is home to the Zao Snow Monsters, a natural phenomenon where the trees take on frightening shapes due to the heavy snow and freezing winds. Zao also offers relaxing hot springs and a culture that encompasses everything from traditional handicrafts to food. Naruko-kyo Gorge is a 2.2-kilometer (1.37-mile) long, 100-meter (328-ft) deep gorge along the Otani River in northwestern Miyagi Prefecture, about 70 kilometers (43.5 miles) from Sendai. It's one of the famous scenic spots in the Tohoku region, especially during fall when the autumn colors light up the gorge with fiery red, apricot orange and golden yellow. The best time for viewing the autumn colors in the gorge is from mid-October to early November.